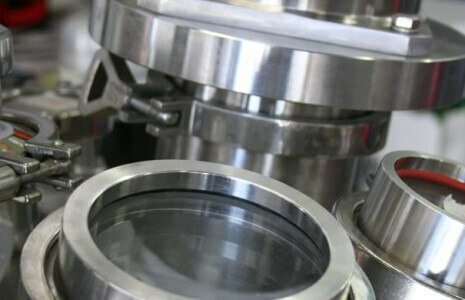 We offer to our clients a complete synthesis program from the first milligram batches, where we study and test potential routes, scalability, complicated steps, impurities, safety and economic concerns, greener reactions, etc., to pre-clinical batches at multikilogram scale with the highest possible yield and purity. Our motivated, proactive and experienced team will suggest innovative and creative synthetic routes and during the whole project, we will maintain constant communication with the client informing about achieved improvements, written updates and final campaign or research summary reports. All the IP generated during the study belongs to the client and for that reason, we will work under a Confidential Disclosure Agreement. Development of new synthetic routes for target molecules. Route Validations: providing our clients different batches. Optimization of difficult reaction steps from an existing route. Isolation and structural determination of impurities. API supply: in collaboration with our partner in a GMP pilot plant. Comprehensive quotation both in full-time equivalent (FTE) or in fee for service (FFS) model. State of the art facility with ready access to kilo labs that allow manufacture up to multi-kg scale. Identification of the key points in a route to improve it both economically and robustly. – Evaluation: Based on the Synthelia experience and the literature, several routes are proposed with the aim of studying the feasibility of the project. – Screening: In a reasonable time of experimental work, Synthelia offers an overall picture of the possibilities to run a certain route or reaction. 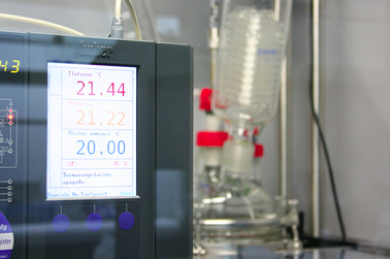 – Optimization: If the client is interested in performing the reaction on a larger scale, Synthelia will optimize all the parameters to reach the maximum yield and purity at the lowest possible cost. – Piloting: Once all the parameters and the costs are determined, Synthelia will perform the reactions to check the robustness of the method at different scales, from hundreds of grams to several kilograms; the client will evaluate the quality and decides whether to proceed. – Validation: Several semi-production runs will be carried out to validate the consistency of the process. If you would like to know more about our chemistry services please contact us.